This is a sandwich I grew up with and what do you know? Limi grew up with it too! What a small world! Credit for this classic sandwich goes to who-knows-who…. 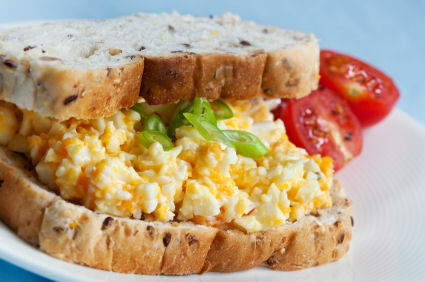 Combine egg, mayonnaise, tomato and salt in a mixing bowl. Smash egg with a fork as you stir the ingredients. Spread over slices of bread and put them together. Cut into triangles. yup… it’s that easy. If using the optional ingredients, combine them in the bowl with the egg mixture and proceed as normal.